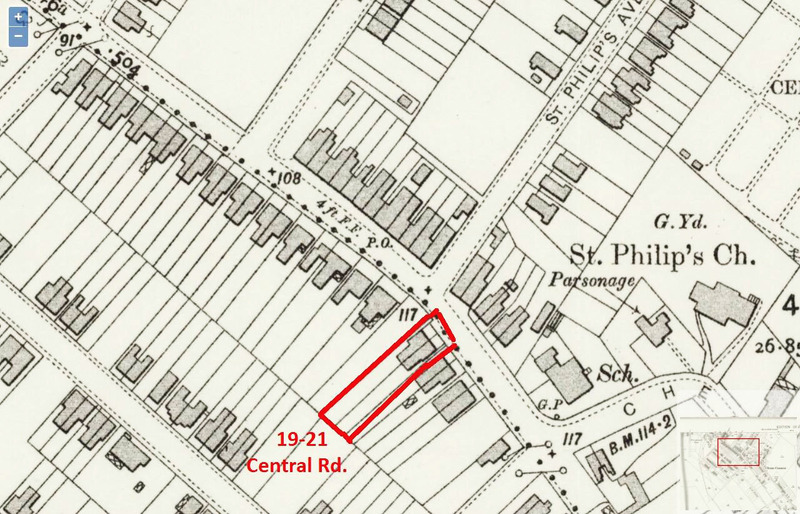 Central Road could be about to lose it's last two 'original' homes from a set that used to run almost all the way down to the railway line. The unique twin terraced building which has been home to Vivash Hunt Solicitors for many years is subject to a planning application to demolish these late Victorian/Edwardian villas and develop a four storey block of flats (with a shop on the ground floor) there instead. 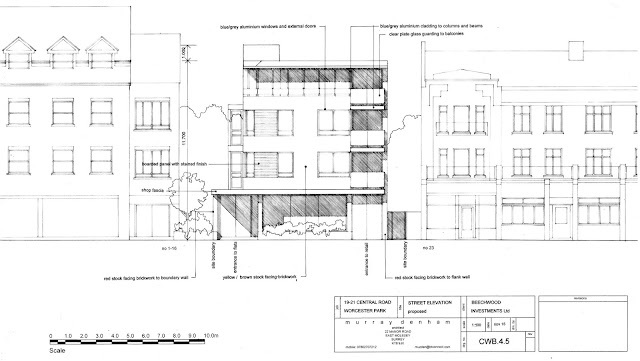 Please have a look at the planning application for more details. 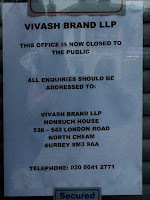 Vivash Hunt merged with Brand and Co Solicitors in North Cheam in April last year to form Vivash Brand LLP. 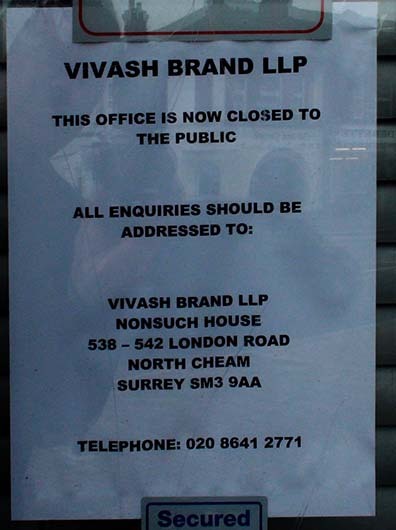 It is understood they were happy with the premises in Central Road but their lease was not renewed, and so they moved out with the new firm being based at the London Road offices. 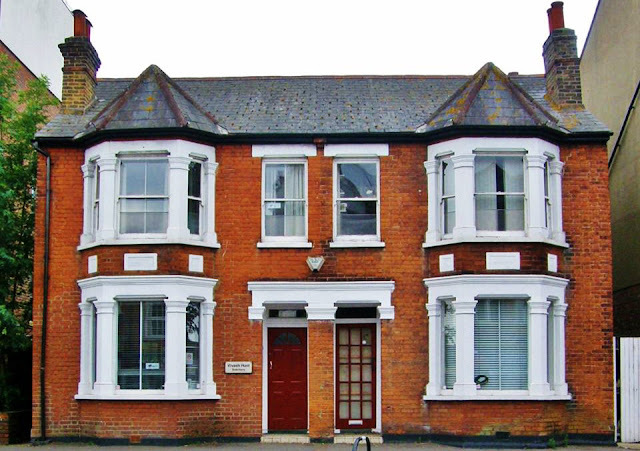 These historical buildings used to line this side of Central Road and are known to have been built between 1894 and 1907. The photo below on the left was taken around a century ago. You can see the actual building in this photo just like the one on the right taken recently. The map on the right is a ordnance survey map from 1913. 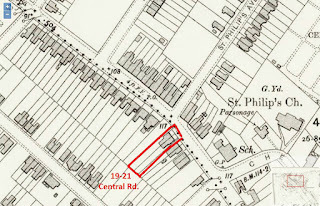 It shows the line of similar dwellings extending right down to Windsor Road. Then, after Worcester Park Farm, they continued down to what is now The Brook pub. This example is now the only set of these original dwellings left. I for one will be very sad to see them go and I would suggest that retaining this small single link with this aspect of our local history is worthwhile. The deadline for objections is the 29th of January so I would encourage you to write a letter of objection to Sutton council. It is not easy to get a development like this turned down. There are very few grounds for refusal for such a development however the visual impact of the new building and the effect of the development on the character of the neighbourhood, given that it will mean the loss of the last of these historic buildings from Central Road can sometimes sway a planning decision. Below is the line drawn plan for what the new development will look like (click on it to enlarge). It looks to me that there is not a single thing about it which shows any respect to the historical building it is looking to replace, nor the art deco style in other parts of the high street. I do not consider this design to be a positive addition to the area and the loss of this little piece of local history is, in my view, too high a price to pay for the local community for this to be given planning permission. Thanks to Richard Johnson and David Rymill for the majority of the photos and research.